Running an unvalidated program or product is like betting your life’s savings on a horse because you overheard a “surefire tip” outside the racetrack, or driving around without any mirrors. To put it less dramatically: Skipping validation is asking for problems. But what does validation mean, how much is necessary, and what’s the best way to include it in your plans? In order to start understanding validation, we must first break it down into two main categories: Product validation and process validation. From there, it’s important to look at whether something has been broadly validated for general use, and whether it has been narrowly validated for use in your specific situation. That last question is where people often struggle: How can we ensure this product or process is validated for use in the way that we plan to use it? Validating an on-site allergen test kit requires a few different layers of research and testing. Taking the time to carefully design and vet a validation process may seem tedious, and it may require some additional up-front costs—but in the long run, it’s the only way to ensure you are spending your money on a test kit that works. And if you’re using an allergen test kit that doesn’t actually detect allergens in your facility—best-case scenario, you’re wasting money and time. Worst-case scenario, you’re headed straight for a recall and you won’t see it coming until your customers get sick. Does this data cover products like mine? Are the ingredients similar (raw meat, ice cream, spices, etc.)? Are the preparation processes similar (heat, fermentation, etc.)? Does this data cover an environment like mine? Will the tests be run the same way in my facility as in the data? Is the contamination being introduced in a way and amount that feels realistic to the risk factors I know about in my facility? Does the data mention any complicating factors (and do I need to care about them)? Are there ingredients known to cross-react or cause false negatives? Are there processes known to change the LOD or cause false negatives? If I am aware of limitations with other similar test kits, are those limitations addressed in the data for this test kit as well? How does the kit perform in a high-fat environment? Does the validation data cover product, rinsewater and surfaces? Are there ingredients in our facility that are called out as cross-reactive (or otherwise troublesome)? Do our ingredients get exposed to temperatures, pH levels, or other processes that impact the LOD? You might learn, for example, that one of the matrices tested in validation was ice cream. If so: Wonderful! That’s a vote of confidence and a great starting point. Or maybe you learn that the kit in question isn’t recommended for matrices that include an ingredient in your formulation. If so: That’s equally wonderful! Now you know you need a different solution. Or maybe the instructions on your current peanut test kit indicate that heavily roasted peanuts have a higher detection limit than raw peanuts, but this new test kit only has data for raw peanuts. If so: OK! You have more research to do, and that’s fine too. 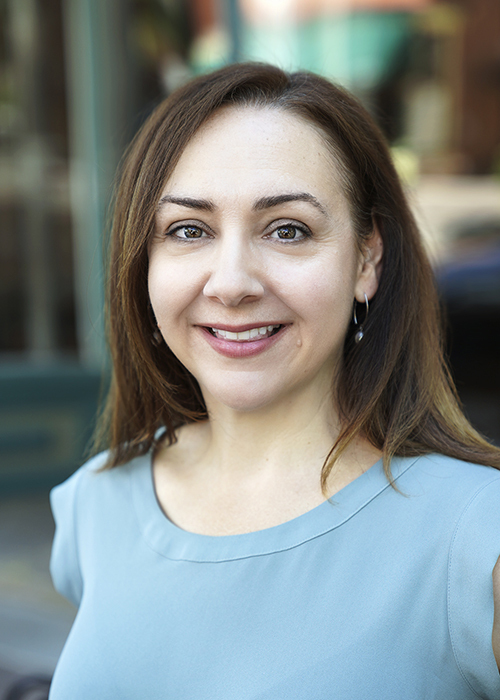 In short: Pre-existing product validation data is a helpful starting point for determining whether or not an allergen test kit MIGHT work well in your facility—but it doesn’t eliminate the need for you to run your own internal validation study. Once you’ve identified an allergen test kit that you want to use in your facility, you’ll want to prove that it can work to identify contamination in your specific environment. This is where a more narrowly tailored validation comes into play. Your test kit provider may have resources available to help you design an internal validation. Don’t be afraid to ask for help! A reputable test kit provider should care not just about making the sale, but also about making your food safer. Test the surface prior to cleaning, after the allergen in question has been run. Do you see positive results? If not, then a negative result after cleaning is essentially meaningless. Test the surface after cleaning. Do you see negative results? If not, it could mean a problem with your cleaning process—or a strange interference. Both require further research. If your products encounter multiple surfaces (eg., stainless steel and also ceramic), test them all with before and after testing. Test water from the beginning of the cleaning cycle as well as the end. Do you see a change in results, from positive to negative? If you don’t ever see the allergen present in your rinsewater, you may want to “spike” a sample by adding a small amount of the product that contains the allergen into the rinsewater you’ve collected. Could it be that something in your cleaning protocol or some aspect of your matrix is affecting the detection limit? Test a product that you know contains the allergen but is otherwise similar. Keep in mind that some allergen test kits can be overloaded and can show false negatives if too much allergen is present in the sample—if you aren’t sure whether the test kit you are trialing has this limitation, ask your supplier. 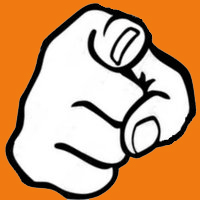 Do you see a positive? Have you encountered batches of your product with accidental cross-contamination from the allergen in question? If so, and you have some of that batch archived, run a test on it. Would this kit have identified the problem? 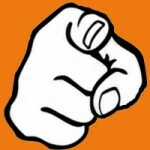 Do you have a batch or lot of product that has been analyzed by a third-party lab? If so, do your results in-house match the lab’s results? Run—or ask a lab to run—a spiked recovery. This is especially important if there is no pre-existing data on how the test kit works against your specific matrices. Some test kit manufacturers can provide this service for you—you would simply need to send them the product, and they can add various amounts of allergen into the product and confirm that the test kit shows positive results. Some kit manufacturers or other suppliers can send you standards that have known quantities of allergen in them. You can mix these into your product and run tests, and confirm that you get positive results when expected. You may want to simply do this on your own, by adding small quantities of the allergen into the sample and running tests. However, take care to be especially careful with your documentation in case questions arise down the line. Be sure you’re including what could be a realistic amount of contamination—if you’re concerned about catching 25ppm of allergen, loading up your sample with 2000ppm won’t necessarily help you prove anything. The matrix of your allergen-containing foods is just as important as the matrix of your allergen-free foods. If your allergen has been fermented, roasted, pressurized, etc. —your spike needs to be processed in the same way. If you aren’t sure how to think about your matrices, this previous Allergen Alley post is a good starting place. Once you’ve proven that the test kit in question can in fact show positive results when traces of allergen are present, you can confidently and comfortably incorporate it into your larger allergen control plan. If your matrices change, you’ll want to re-validate whatever’s new. While it can be tempting to rely on a kit’s general validation, taking the extra step to validate your unique matrices is an essential part of a truly robust food safety plan. If you’re stumped for how to begin, contact your kit provider—after all, you share the same goals: Safe, allergen-free food for consumers who rely on you to keep themselves and their families healthy and well fed. The company that produces the very popular flavored sparkling water brand LaCroix is facing a class action lawsuit that alleges false claims of the product being “all natural.” The suit alleges that certain flavor chemicals used in the beverage are, in fact, artificial ingredients. These flavor chemicals include limonene, linalyl propionate (linalool propionate), linalool and ethyl butyrate (ethyl butanoate). While these flavor chemicals can be synthesized, they are naturally occurring chemical constituents and can therefore be derived from natural sources. The safety of the beverages is not at issue; this is a labeling question. The suit states that linalool is “used in cockroach insecticide,” which is inflammatory and misleading. Chemical compounds, including those used as food ingredients, naturally have multiple applications and this does not have any bearing on the question of whether they are safe to use in foods. Presumably, the labeling issue of whether these flavor chemicals were naturally or synthetically derived will be addressed as the suit progresses. This suit does, however, highlight some of the challenges we have in tracking food fraud information related to flavors. Flavors are big business. Appealing flavors enabled LaCroix to make unsweetened sparkling water explode in popularity. If you have been on the Institute of Food Technologists Annual Meeting expo floor, you have seen the prominent displays and creative food samples offered up by the big flavor houses. It is a competitive business and very proprietary. The FDA labeling requirements for flavors allow them to be listed generally as “spice,” “natural flavor,” or “artificial flavor” (or a combination of those). This makes tracking and standardizing public records of food fraud related to flavors challenging. Our data includes more than 60 of food fraud related to flavors represented as “natural.” Most of these records are linked to vanilla extract or various essential oils. However, we have also captured a handful of records that address misrepresentation of synthetic flavor chemicals as naturally-derived. This includes records for linalool and ethyl butyrate, among others such as vanillin and linalyl acetate. However, none of these records describe publicly reported incidents of fraud for naturally-derived flavor chemicals. The records are based on peer-reviewed publications aimed at method development for authentication of natural flavors. Added value claims such as “natural” tend to increase food fraud risk because the costs of production can be so much higher. While an ingredient like vanilla extract is certainly one example of this, we do not tend to see the same level of evidence of food fraud potential for naturally-derived flavor chemicals in public records. When our users need to conduct a food fraud vulnerability assessment for a natural flavor that is a proprietary blend of flavor chemicals, we suggest that they incorporate information from the entire natural flavors group into their assessment. Given the proprietary nature of flavor blends and FDA labeling requirements, it is not feasible for us to track every individual flavor blend in our database. Fortunately, given the importance of flavors to the food industry, flavor companies have a vested interest in preserving their client relationships and public reputation by ensuring flavors labeled as “natural” qualify for that label claim. The Decernis Food Fraud Database is a continuously updated collection of food fraud records curated specifically to support vulnerability assessments. Information is gathered from the scientific literature, regulatory reports, media publications, judicial records, and trade associations from around the world and is searchable by ingredient, adulterant, country, and hazard classification. Research shows the global high pressure processing (HPP) food market to be worth $14 billion in 2018. By 2023, the market will reach an estimated $27.4 billion and will grow to $51.1 billion by 2027, according to Visiongain, a UK-based business intelligence company. This growth is a result of many factors, including consumer trends, food safety and food industry demand. One of the biggest consumer food trends is the clean label movement. Consumers are more attentive to what they eat and drink than ever before, requesting more information about the products they buy and consume. For instance, 73% of U.S. consumers agree it is important that ingredients on a food label are familiar and would be used at home, according to Innova Market Insights, a market research firm for the food and beverage industry. Consumers want fresh, convenient and less processed foods and beverages. Shoppers, especially millennials, are willing to spend more money to receive better-for-you products, and they are also more willing to research production methods before making purchases. On the industry side, due to an increasing concern over food safety and the rise in foodborne illness, food producers and retailers are seeking reliable food safety and preservation methods that will help ensure the best product quality. Not only do they want to keep their customers safe, they also want to ensure their brand is protected. Food waste and sustainability is also important to consumers and industry. In the 2017 Nielsen Global Sustainability Survey, 68% of Americans said that it is important that companies implement programs to improve the environment; 67% will be prioritizing healthy or socially-conscious food purchases in 2018; and 48% will change their consumption habits to reduce their environmental impact. Companies want to be responsible and make sure good food does not go to waste. Longer shelf life decreases a product’s chance of ending up in a landfill. Additionally, the longer a product lasts, the further it can be safely distributed and sold. High pressure processing (HPP) ironically isn’t really processing at all. HPP is a unique food preservation method that utilizes cold water and extreme pressure (up to 87,000 psi) to inactivate foodborne pathogens and spoilage organisms. The effectiveness of the HPP process depends on the amount of pressure applied, vessel holding time, temperature, product type and targeted pathogens and spoilage organisms. Unlike chemical and thermal treatments that can compromise flavor, vitamins and nutrients, HPP is a non-thermal, non-chemical process. Without the use of heat, the product’s original qualities remain intact. Also, because water pressure is applied uniformly in all directions, HPP foods retain their original shape. HPP equipment on a plant floor. 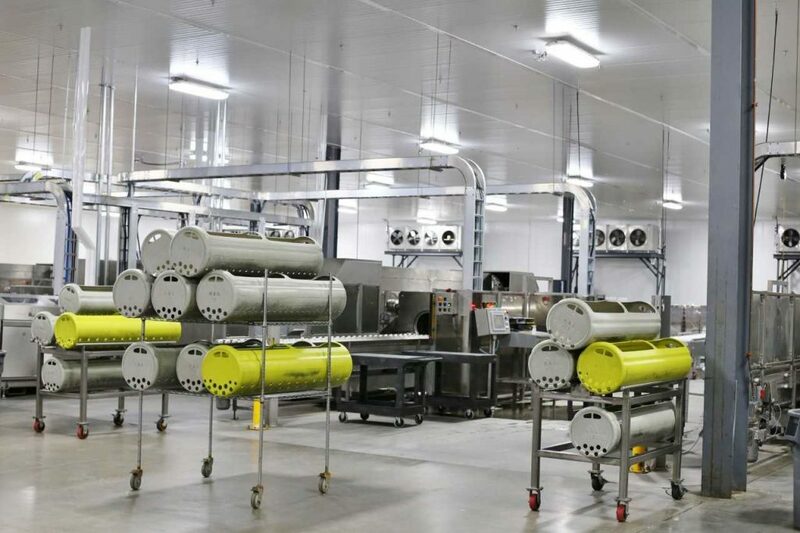 Food, already sealed in its package, is loaded into these gray and yellow canisters and sent through the HPP vessel behind them where water and high pressure are applied to inactivate foodborne pathogens. One of the most popular uses for HPP is for proteins, including roast beef, chicken, pork and ground meats like turkey, chicken and beef. Other uses include premium juices, dips, wet salads, dairy and seafood, as well as pet food. Some of its newer applications are in the preservation of baby food, premium juices, plant-based protein drinks, cocktail mixers, nutrient dense shots, coffee and tea selections and bone broth. HPP is widely used for ready-to-eat meats, dips, guacamole, salsa and hummus. Raw pet food, which has been affected by Salmonella and other pathogenic outbreaks in recent months, is also a growing market for HPP. Just like for their own food, pet owners are demanding fresh, non-processed foods for their pets. HPP is a proven means of creating a safe, clean-label raw pet food. While food safety is still the number one reason for HPP, many manufacturers and retailers also cite shelf-life extension as a major benefit. Table I is a breakdown on the type of food, shelf-life extension and key benefits of HPP. RTE (Ready-to-Eat) Meats Sliced, cooked meats: chicken, turkey, ham and beef; uncured ham and sausage Greater than 2X Extends shelf life while addressing common vegetative bacterial concerns. Allows manufacturers and retailers to offer reduced sodium products. RTC (Ready-to-Cook) Meats Ground meats such as turkey, chicken and perhaps beef. 1.5X to 2.5X Increase food safety while extending product shelf life. Guacamole, Wet Salads, Salsas, Dressings & Dips Guacamole, salsa, chicken salad, seafood salad, dressings 2X–6X Extends product shelf-life and reduces vegetative bacteria issues. Juices and Smoothies Super premium juices, juice blends & smoothies 20–60 days HPP is a natural way to deal with microorganisms and extend shelf life without the use of heat ,which can negatively affect color and flavor. Dairy Yogurt & yogurt-based dressings, cream, sour cream, cream cheese and milk. 2X–10X In yogurt-based products and milk, HPP is believed to give a creamier product consistency. Seafood Oysters, lobster, crab, shrimp, mussels 2X–4X Meat extraction (yield) is better than by hand shucking or steam methods. Labor savings in this manner makes the HPP’ing of shellfish a great application. The shelf-life extension is also significant. Table I. A breakdown on the type of food, shelf-life extension and key benefits of HPP. The cost of HPP varies depending on the size of production runs, fill efficiency of the product within the HPP vessel and the HPP process parameters. The good news is the cost may be offset by other price reductions that HPP enables such as eliminating food additives. While HPP can be performed in-house, many companies outsource their HPP needs so they do not have to allocate significant capital expenses or disrupt production efficiency with an HPP batch process, allowing them to focus on their core competencies. HPP’s future is bright, with new uses on the horizon. These new uses have already resulted in new market opportunities that increase revenue. As its awareness grows among manufacturers, retailers and food service companies, and with additional education about its benefits, more companies will embrace HPP as part of their food safety program and for its shelf-life benefits. With consumer demand for fresh foods and beverages showing no signs of stopping, HPP will lead the way in helping to produce fresh, safe food and beverage products for all to enjoy. Consumer preferences have clearly shifted to a more personal, hands-on experience that requires food companies to maintain trust by being completely forthright about what is in their products. And when a company is involved in a recall, consumers expect a fast response—within days, according to a recent survey. Half of the survey participants expect a company to address a recall within one to two days. In addition, if a brand or restaurant has a recall or contamination that leads to illness, 23% said they would never use the brand or visit the restaurant again and 35% said they would avoid it for a few months and “maybe” come back. The survey, commissioned by FoodLogiQ and titled, “What Consumers Care About in the Age of Transparency”, polled more than 2000 people. It also found that the same consumers who expect a one- to two-day turnaround in addressing a recall also care a great deal about clarity in food labeling: 57% want to see as much information on a label as possible. This includes country of origin, allergen information and identification of genetically modified ingredients. With the number of recalls occurring four times as often as they did five years ago, food companies are at an even higher risk of facing a negative financial impact and losing consumer confidence. Maintaining transparency throughout the supply chain is a crucial part of managing consumer expectations and executing effective risk mitigation. USP improves global health through public standards and related programs to help ensure the quality and safety of medicines and foods. 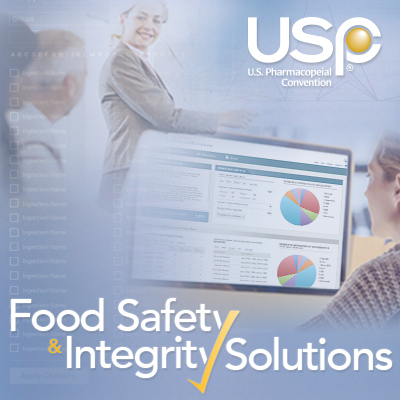 USP’s Food Safety and Integrity Solutions, which include the Food Chemicals Codex with more than 1,200 standards (methods and specifications), food ingredient reference materials, the Food Fraud Database v2.0, and food fraud mitigation training and advising services help ensure the quality, safety, and integrity of the food supply and help companies meet regulatory requirements and mitigate supply chain risk. GRAS substances are not subject to FDA premarket approval but must meet the same safety standards as approved food additives. 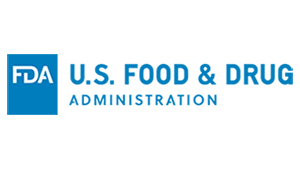 The agency “strongly encourages” companies to tell FDA of GRAS conclusions through the notification procedure found in the final rule, because the procedure provides the agency with important food safety monitoring information. The document will be published on the Federal Register on Wednesday, August 17. Research and development (R&D) is an essential starting point toward the creation or modification of new and exciting food products, processes and packaging. To ensure that a product is safe for consumption, food safety should be considered during the initial stages of a product’s lifecycle. Incorporating food safety into R&D can be tricky, as safety considerations may change the initial idea or concept of a new food product. For example, the idea of a freshly squeezed orange juice in every supermarket shelf is appealing; however, without pasteurization, that juice will not be safe for consumption, nor will it have the desired shelf life. Adding raw chopped garlic to a hummus product makes it taste great, but will it be safe for consumption after being on the shelf for a month? To better understand how safety of new products is assured from concept to launch, I spoke with two R&D scientists about food safety considerations during new product development. The interviewees, Maria and Laura, work for the same large food manufacturer, which is located in the Midwest, in the snack foods and breakfast cereals categories, respectively. 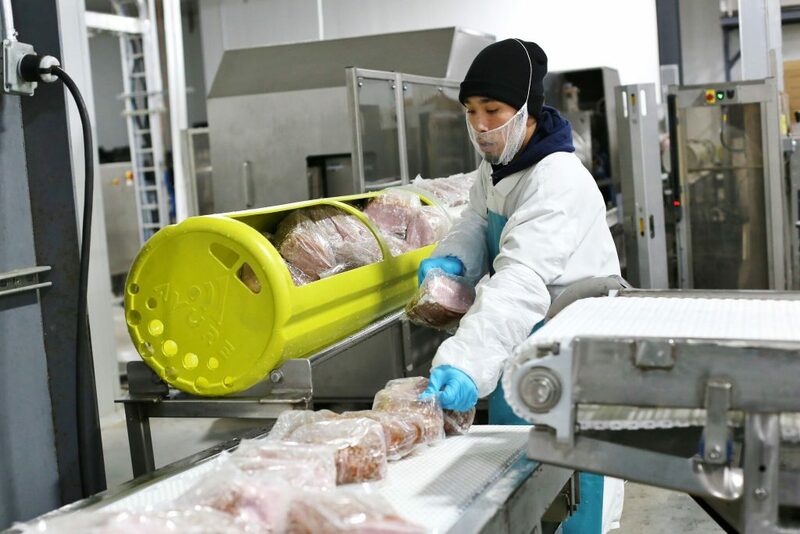 They both confirm that the R&D team follows a specific procedure during the product concept phase—one that places food safety at the forefront. The team starts by determining how the new product compares to food safety regimens already in place with other products that the company manufactures. 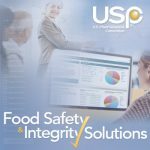 If the product is a line extension with only a few changes to an existing formulation, the food safety concerns are likely to be low, and the food safety program already in place is adapted to meet the safety needs of the new product. However, if the product being developed is highly differentiated from other products manufactured by the company, food safety moves into a more central role throughout the development cycle. According to Maria and Laura, the first step in ensuring food safety for a new product is for the development scientists to have in-depth discussions about the product’s formulation, ingredients and supply sources. These three aspects, along with the planned manufacturing process, are then evaluated through a hazard assessment. The hazard assessment is comprised of microbiological, quality, regulatory, stability and physical hazard assessments. Ingredients that pose food safety concerns without prior controls and process conditions are identified. The quality team determines controls for these ingredients and subsequently involves process engineers to verify that process conditions are attainable and will provide proper control for the hazards identified. A complete HAACP plan is put in place for the new product production, taking into consideration equipment cleanability and location, traffic control for ingredients and operators, and air handling systems. The hazard assessment is documented in detail and must be approved by the quality manager before production runs can begin and development can resume. Although the entire process is led by R&D, multiple other functions are involved and consulted throughout the process. Manufacturing processes, formulation and market availability of ingredients drive the food safety of a new product, with manufacturing processes and formulation usually being the key drivers. “However, in cases like the recent shortage of eggs due to the avian flu crisis, finding substitutions for ingredients in shortage becomes an important driver for food safety,” says Maria. 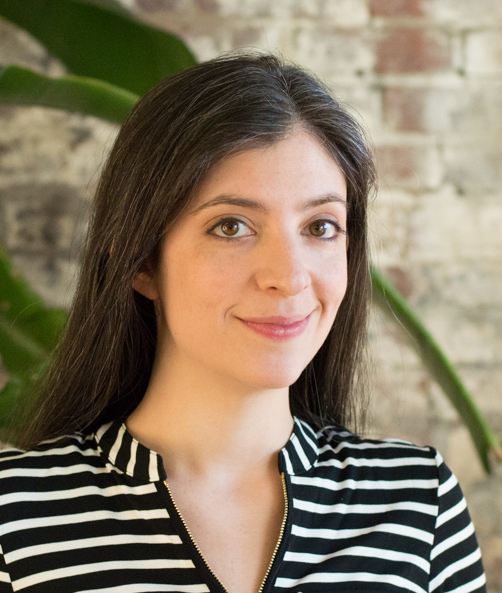 Laura says that at times, product formulations can change due the integrity of the ingredient or its source. In such cases, a similar ingredient from a credible source is chosen and the safety of the product is re-assessed. There are critical quality and food safety elements that must be considered in the product design phase to prevent issues later in development. When R&D professionals keep these elements top-of-mind when considering formulation and ingredient sourcing, everyone benefits—from the company to consumers. Although consumer confidence in the safety of the U.S. food supply is slipping (11% said they were “very confident” in the safety of the food supply, down from 15% in 2013; 50% said they were “somewhat confident”, down from 55% in 2013, according to the International Food Information Council’s 2015 Food and Health Survey), the interview with Maria and Laura shows that manufacturers are putting significant effort into developing safe food products. It is equally as important for suppliers and vendors to have robust food safety programs to build strong relationships with manufacturers. Food companies have a lot to lose if a product they develop is, or becomes, unsafe for consumption. Not only can the average cost of a recall add up to $10 million in direct costs to a food company, lost sales and the impact to the company’s market value, brand reputation, and business relationships is major. Some companies never recover from the punch. Through taking the time to audit suppliers, screen new ingredients, and make robust prototypes, food companies can be more confident in the safety of their innovative new products as they go through the development process. Will FSMA Push Ingredients into a New Era of Scrutiny? In June FDA officially deemed the use of partially hydrogenated oils (PHOs) as unsafe, or technically, not generally recognized as safe (GRAS). The use of PHOs has been debated for more than a decade, and as a result of FDA’s latest ruling on PHOs, food processors must remove these ingredients from their products within three years. From preservatives to artificial sweeteners to natural flavors, the list of ingredients that go into processed foods can be quite extensive. Consumers are becoming more vigilant about what they put into their bodies, and FSMA will give FDA the authority to act immediately in instances related to safety. Does this mean that some ingredients could be in danger? The answer is yes, according to Jim Lassiter, president and COO of Ingredient Identity. “[Ingredients] are products that you literally take inside your body, and there is nothing more personal than that,” says Lassiter. Combine this simple yet fundamental fact with consumer awareness and the entrance of FSMA, and food and beverage manufacturers may be entering a new era of scrutiny. Food Safety Tech: From an ingredients perspective, what challenges are the industry facing? Jim Lassiter: Implementation of FSMA. Although it’s being implemented at a slower pace than Congress desired, and I believe slower than [FDA’s] original intent, that pace is accelerating. And while the increase in challenges related to the composition and manufacturing of products will be significant, FSMA will be an overall benefit to consumer confidence. Consumer confidence. Whether the issue is bioengineered foods or disclosure of bioengineered foods through the business of trans fats, or just the general composition and healthful nature of foods. Slowly but surely, increasing consumer awareness of food choices and diet will have a significant impact. Regardless of the type of product, this is going to be universal and will increasingly play a role in decisions that food companies make during product development. The unknowns. We don’t know what is coming around the corner, whether it’s positive or negative. A lot of effort is being extended within the food sector to discover the next big thing—whether it’s probiotics or prebiotics; addressing product reformulation in light of the elimination of trans fat [requirement]; or something that strikes out of the blue. That is always the most challenging aspect of the ingredients industry. Foods themselves, regardless of what country you are in, are cultural in nature; they are the most personal consumer good that you can obtain. As a result, our awareness as an industry of what we do to products must bear both of those pieces in mind. We have to recognize the cultural nature of food and simultaneously recognize the personal nature of products. As a result, we won’t necessarily have insights into the great unknown or the next big thing, but at least we will have the perspective necessary to deal with any unknowns as we move forward. FST: In the coming year, what overall effect will FSMA have on food and beverage manufacturers related to ingredients themselves? Lassiter: From an ingredients perspective, what’s going to happen is simple and straightforward. FSMA grants FDA the broad authority to assist and act in instances where there are issues with safety. That is, however, still nebulously defined and interpreted. So, there’s potential for FDA to suddenly make a determination that an ingredient is not safe or [that it] poses some degree of safety risk. FSMA authorizes FDA to take immediate action rather than [submit] a new process notification, etc. They will also have the authority to take immediate action in the case of violations of good manufacturing practices if the perception can be tied to any aspect of safety. FSMA stands for safety; that is the hinge point on which all of this occurs. For example, with the revised good manufacturing practice for the manufacturing of food products coming out and the full implementation of HACCP across all food categories, it’s conceivable that FDA will take immediate action on inspection deficiencies in the food manufacturing realm. I think that’s one of the big issues. I don’t want to make it sound like the boogey man is out there, but it is a very real possibility. Ingredients themselves can suddenly be identified as unsafe. I don’t see that necessarily being a very radical reaction. The potential impact is more likely to be broad, but I suspect that at some point in time, there will be an ingredient that pops up out of a FSMA ruling that will suddenly be declared to be unsafe and [consequently] removed from market. Second, I think the implementation of HACCP across all food categories will have notable impact, initially through common regulatory action (i.e., via inspection deficiencies reports, which are very common in terms of dietary supplement manufacturer inspections). I think you’ll see those becoming increasingly common in food manufacturing operations, because of the implementation of HACCP more broadly. The first round will be more likely for increased regulatory activity in food manufacturing inspections. If that message is not received and implemented rapidly, then the extension of FSMA is that [FDA] can shut down the plant without any due process whatsoever. That looms as part of the implementation. In terms of ingredients, you’re likely to see [some] that folks may not have previously thought about [as unsafe] identified as potentially hazardous. I’m not sure in what area it will occur, but I’m fairly confident that it will happen at some point in time. 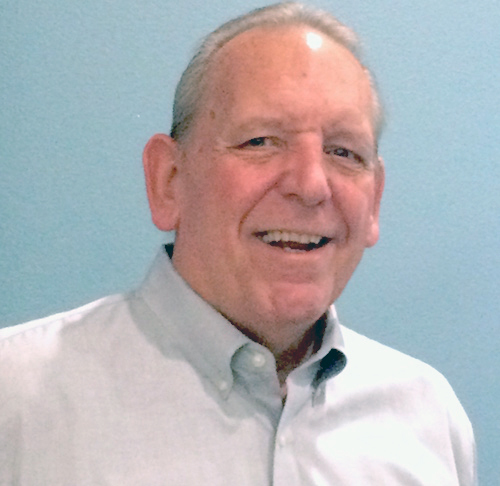 Part II of Food Safety Tech’s conversation with Jim Lassiter takes a closer look at GRAS self declarations and the areas of confusion among companies.